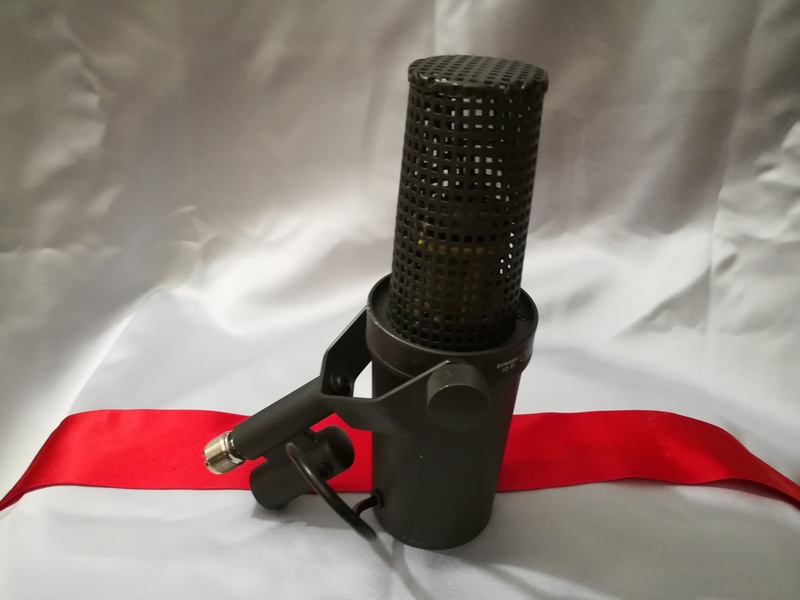 SM7, Dynamic Microphone from Shure in the SM series. 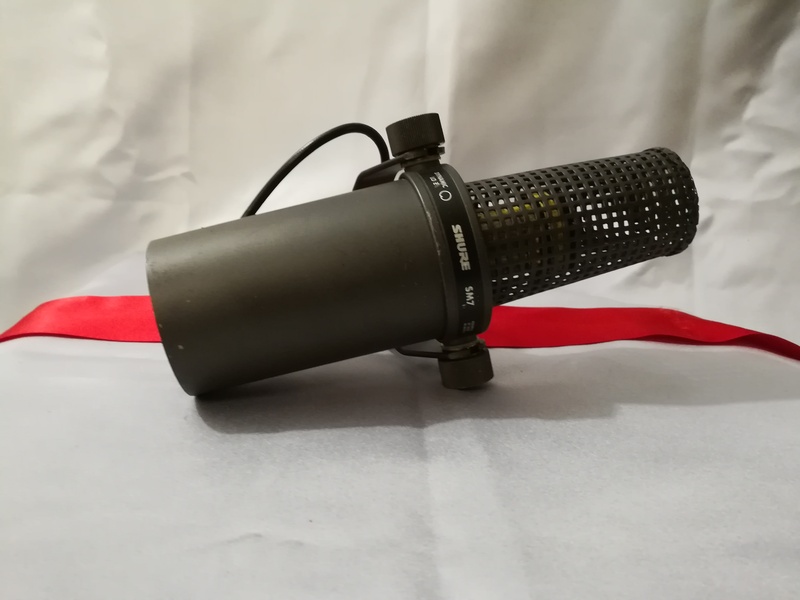 Product replaced by the Shure SM7B. 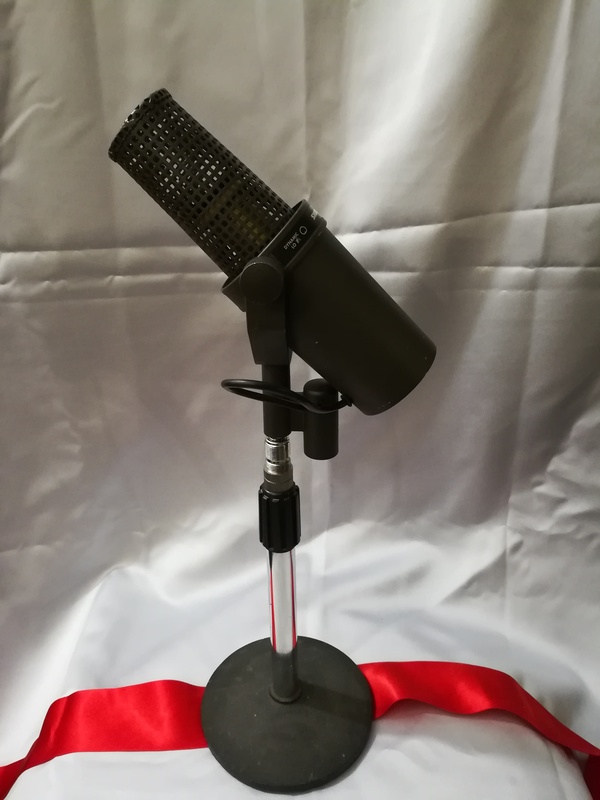 mooseherman's review"Really cool dynamic mic"
This is a dynamic mic that works great for live settings as well as in the studio. With a particular kind of pickup pattern, it's got a cool kind of sound. It's not the most expensive mic in the world but it probably costs more than most dynamic mics except maybe the 421 and similar mics. It has a really cool sound and is useful in a lot of ways. I can use this mic more often in live situations. I've used it on lead vocals in live shows countless times. It's great if you're in a venue with feedback issues as it only picks up what is directly in front of it. I also like it on horns and kick drums as well for the same reason, as its still a dynamic mic it'll pick up a lot but won't be too loud or noisy. The cool thing about this microphone is that it only picks up the frequencies that are directly in front of it, so it's great at minimizing bleed in a vocal signal. It's not something that a singer can hold in a live situation, obviously, but it's great for singer/guitarists really. Since it blocks out sound from certain directions, it doesn't really sound like most microphones, and as such it'll have qualities that I don't think you are used to hearing in mics, but I'd say overall it's pretty accurate. Only a trained ear would really notice such detail, and it pays off by isolating the signal. In the studio as a scratch vocal it's capable of blocking out excess noise but it'll get a good sound of the whole vocal. I know engineers who swear by its use for professional vocals but I don't think that I like it as much as a good tube mic or condenser. Anyway it's useful and not too expensive and can be a dealbreaker sometimes, so I highly recommend it. The Shure SM7 is a dynamic recording microphone designed for broadcast speech I believe, but is also great for singers, among other things. It is built like a tank, as most Shure microphones are and can take a bit of a beating, although I wouldn't recommend beating it at all! I've been using the Shure SM7 for about four or five years, and it has become one of my favorite microphones for male vocals. It is like a supped up SM57, with more girth and body in it's sound. This mic is extremely underrated, and to me it can sound as good or better on certain people's vocals than any mic I have used. 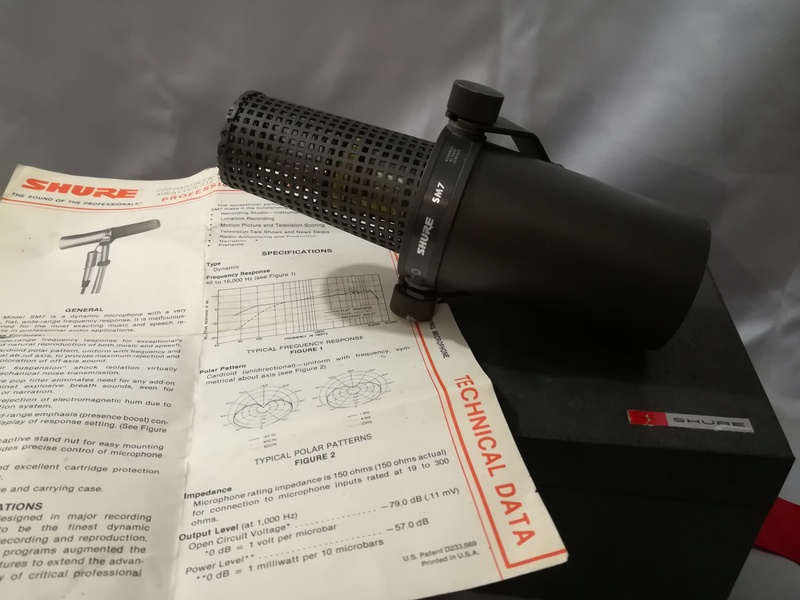 I would compare the SM7 to the Electro Voice RE20, since they are both made for radio broadcast and for speech application and are both in the same price range. In terms of tracking male vocals, I think this is way better mic than the RE20 and is probably a better all around mic. However, I would choose the RE20 for strict broadcast and speech use. I also like using the SM7 as a kick drum mic and on a bass amp or electric guitar amp. The best part about the SM7 is that it will cost you only a fraction of some more expensive mics, but is as good as any I have used in certain situations. If you are a male vocalist and have a project studio, I would definitley at least give this mic a try to see if your voice is a fit because when it is you can really get some good results - specifically good on rock singers with a bit of a growl, or for a screamer. All in all this is a great mic that I love having in my mic cabinet. According to my sources, the Shure SM7 would be the perfect incarnation of professional studio microphone. He did not pick up background noise and feedback. I decided to buy the very bientt me because it just seems to me the best. My +: He did not pick up background noise and feedback which is a default home. My -: Its price. This is probably the best price that we can give him, but I say it is too expensive. This is my # 1 choice for the moment! What should I choose as Amp? 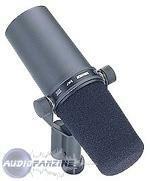 I have for some time a Shure SM7. I am only a novice about everything. 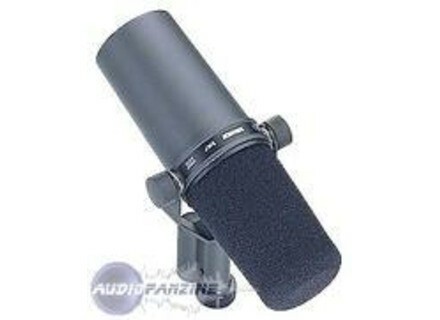 - This micro flattering for voice, I'm not pro enough to tell you what I like least about this microphone. - I have not used other models. - I do not pay this microphone, it is a loan. - It's not a choice since it is a micro loan.